Please choose appropriate parameter according to your requirement. Please, note Availablity Zone must be same for your Instance Zone which with you attach volume. Here it asks for confirmation. Click on Attach button. Login to AWS instance and type lsblk to check if a drive is initialized on OS. Here it shows xvdf (20GB) is available for a mount. You can also fdisk -l command for same. Mount your volume using below command. 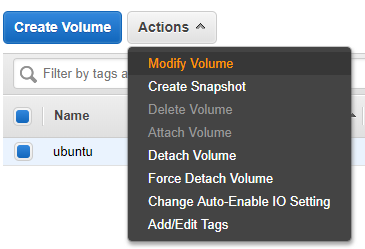 Create a new directory and mount a new volume with each. Add an entry in /etc/fstab for mounting it automatically after reboot. Add this line at the end of a file. Here insert a new value of HDD size. Wait for few minutes till it goes an in-use state. 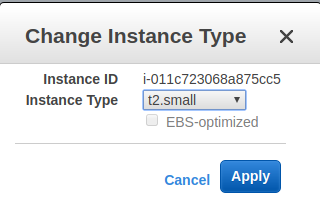 Whenever state changes to in-use - completed state, Login in an ec2 instance and insert below command. If we face hardware limitations of our EC2 instance, we can not just increase Memory/CPU cores as in VMWare, instead, we must change instance type. It is set of predefined images with different hardware specifications. Now start the instance. and check changes. In this tutorial, we demonstrate how to create a subdomain in Apache Web Server. This is actually really easy. First, make sure your DNS is working. You can use A, AAAA or CNAME record as long as it points to your IP address. Please check if it is working before you continue. You can check using ping subdomain.mydomain.com. If it is pointing to your IP address you're good. Now create virtual hosts in Apache configuration file for Sub Domain. And put your subdomain files here. 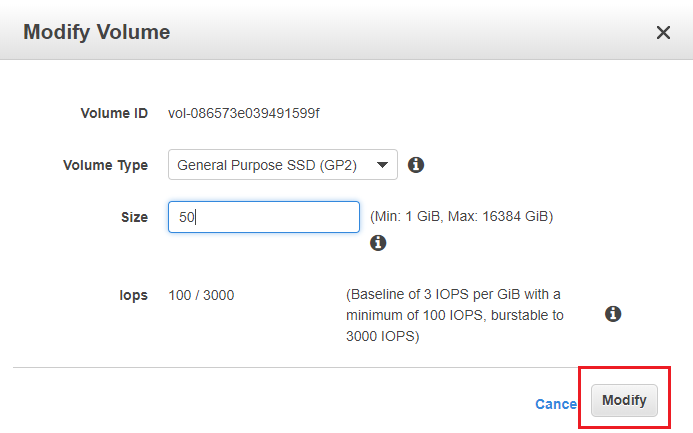 A bucket is in fact name for the folder or drives in AWS, in which we can store data. For Create a Bucket In AWS S3 follow below steps. 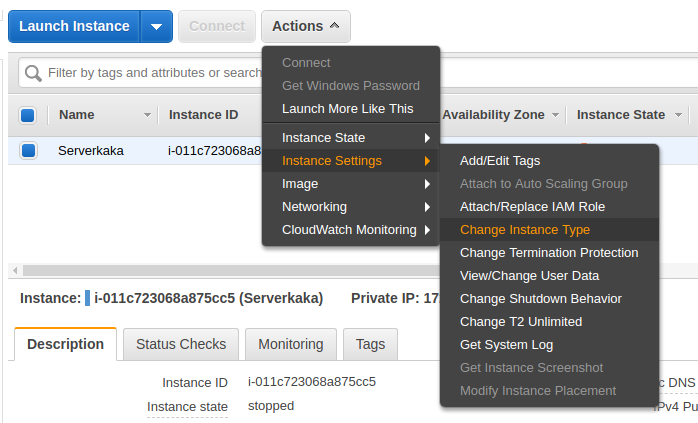 Open S3 Service in AWS Management Console. Please note Bucket name must be unique and lowercase later. After clicking Create bucket it creates a bucket. In this tutorial, we will learn how to password-protect website or content on an Apache web server running on CentOS and RedHat based server. By default, Apache does not allow the use of .htaccess files. We will need to set up Apache to allow .htaccess based authentication. We can do this by editing the Apache configuration file (httpd.conf). We can use htpasswd to create a password file that Apache can use to authenticate users. We will create a hidden file for this purpose called .htpasswd within our /etc/httpd/ configuration directory. The first time we use this utility, we need to add the -c option to create the specified file. We specify a username (subhash) at the end of the command to create a new entry within the file. Here it will be asked to password for the user. Only use -c the first time you create the file. Do not use -c when you add a user in the future. Now we need to create a .htaccess file in the web directory we wish to restrict. In this example, we will create the .htaccess file in the /var/www/html/ directory to restrict the entire document root. Add below code to a .htaccess file. After everything has been set up, it's time to test your Apache server. Try to access your website in a web browser. You should be presented with a username and password prompt that looks like this. If you enter the correct credentials, you will be allowed to access the website. If you enter the wrong credentials or hit "Cancel", you will see the "Unauthorized" error page. In this tutorial, we will learn how to password-protect website or content on an Apache web server running on Ubuntu and Debian based server. We will use a utility called htpasswd, part of the apache2-utils package, to create the file and manage the username and passwords needed to access restricted content. We can use htpasswd to create a password file that Apache can use to authenticate users. We will create a hidden file for this purpose called .htpasswd within our /etc/apache2 configuration directory. Add below code to a virtual host. To confirm that your website is protected, try to access your website in a web browser. You should be presented with a username and password prompt that looks like this.